Stay on the beach, right on the beach! Free buffet continental breakfast with fresh fruits daily!There are three different Dormitory room types to choose from - Pirates 34 Bed Mixed Dorm, Four Bed Mixed Dorm & the Girls 8 Bed Sanctuary Dormitory.All Dormitory rooms have air conditioning, ceiling fans, reading lights over every bed, personal lockers, key card door locks, separate Ladies Gents bathroom facilities with great hot showers & comfortable 8' spring mattresses. The Girls Sanctuary Dormitory comes with complimentary toiletries. 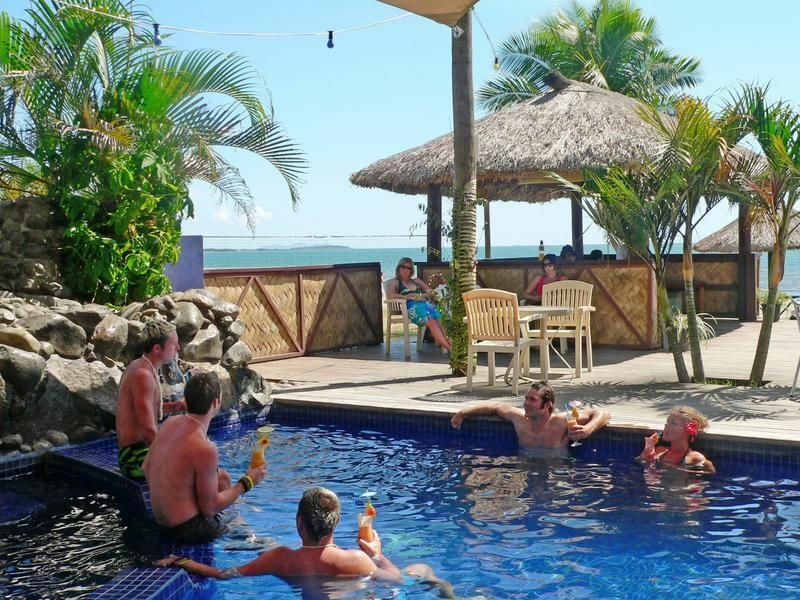 Smugglers Cove is a brand new 4 star AAA rated backpackers resort located on the beach at Nadi Bay & only 10 minutes drive from the Nadi International Airport & Nadi Town. This place has a beach party atmosphere with Fijian entertainment nightly & beach activities every day and is an ideal home base while exploring Fiji's stunning outer islands and scenic highlights.Most of the fully equipped modern rooms offer sunset and ocean views overlooking Nadi Bay, Mamanuca Islands and southern Yasawa Islands. Room facilities include: Key card door locks, Reading lights, Air-conditioning, Room phone, Private ensuite facilities with great hot showers, Tea coffee making, local TV, Fridge, Luggage racks, Room safe, Spring mattress with King & Queen size beds, Clock radio.The resort features Global Gossip fast internet and WiFi, Beach Sun Lounges, a beachfront deck area, a travel centre, a self-operating laundrette, local beers on tap, daily Happy Hours, a general store, a beachwear boutique, Cove Spa and Cove Cafe.All rates include a buffet breakfast with fresh fruits, luggage storage, 24hour airport pick up, use of our kayaks, scuba pool lesson, a stand up paddle board lesson, daily beach activities, nightly entertainment, and use of our golf clubs.Our in-house 'Travel Centre' offers the most comprehensive range of day tours, onward island accommodation & transfers options, Island hopping packages & sail, dive, surf & fishing tours which you can book either prior to your arrival or when you are here.All outer island connections, tour & cruise companies such as Awesome Adventures, Octopus Resort, Feejee Experience, Beachcomber Is, Robinson Crusoe Island, Captain Cook Cruises as well as the local town bus (rattle trap) picks & drops daily from our from door. After confirming your reservation please email Smugglers Cove to confirm your flight arrival details & any onward reservation requirements. 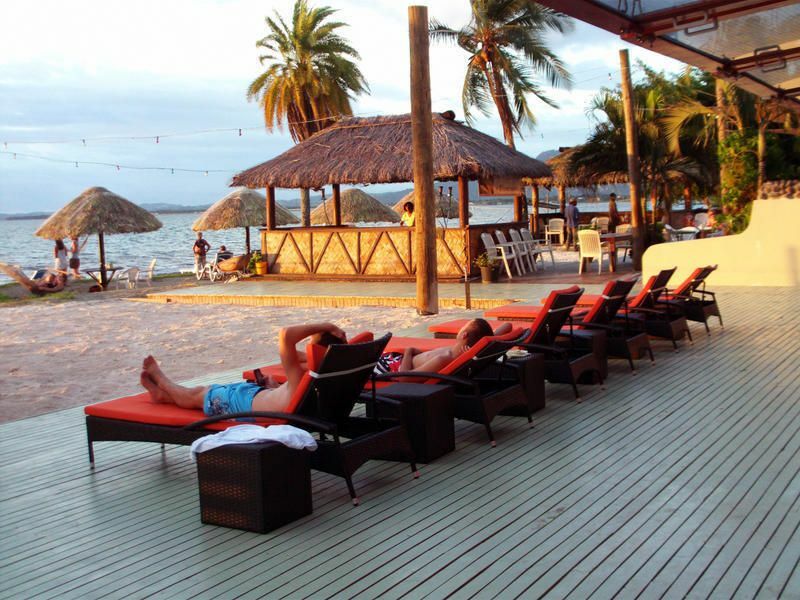 Smugglers Cove is located on Wailoaloa Beach, Nadi Bay which is about 10 minutes drive from the Nadi International airport & Nadi town. 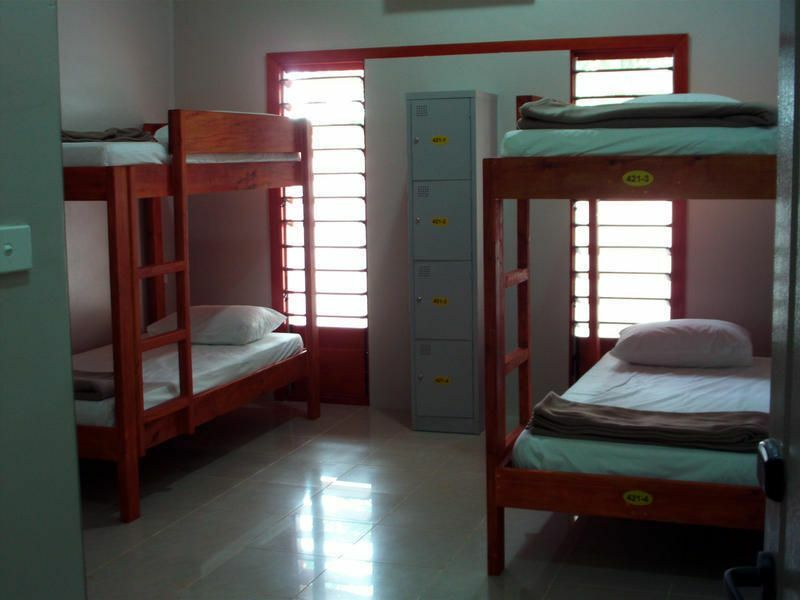 The hostel has a free 0800 number (number 16) located in the baggage collection area at the airport. Free 24 hour airport meet & pick up is available so just give them a call from the free phone any time to confirm your arrival & pick up.